How to obtain copies of Iowa vital records, such as Iowa birth certificates, Iowa death records, Iowa marriage licenses & Iowa divorce decrees. See the guidelines for general information on how to order vital records. Check the related links for additional vital records and genealogical information on Iowa. Iowa prefers you get all Vital Records from the State Office in Des Moines and NOT at the County Clerk's office. Written requests: You must complete the Application for Copy of a Vital Record form and attach a check or money order payable to the Iowa Department of Public Health. Phone requests: Credit cards currently being accepted include American Express, Discover, Mastercard, and Visa for an additional $5.50 processing fee. NOTE: Due to the volume of calls received daily, callers may expect to hold the line (possibly 20 minutes or more) while waiting for the next available operator. Also, credit cards may not be used to pay for family history requests. Requests for the purpose of family history take at least 60 days, regardless of the method of request. Please Note: Effective January 1, 2005, all state and county fees will increase to $15 for searches and certified copies of records. Adair . Adams . Allamakee . Appanoose . Audubon . Benton . Black Hawk . Boone . Bremer . Buchanan . Buena Vista . Butler . Calhoun . Carroll . Cass . Cedar . Cerro Gordo . Cherokee . Chickasaw . Clarke . Clay . Clayton . Clinton . Crawford . Dallas . Davis . Decatur . Delaware . Des Moines . Dickinson . Dubuque . Emmet . Fayette . Floyd . Franklin . Fremont . Greene . Grundy . Guthrie . Hamilton . Hancock . Hardin . Harrison . Henry . Howard . Humboldt . Ida . Iowa . Jackson . Jasper . Jefferson . Johnson . Jones . Keokuk . Kossuth . Lee . Linn . Louisa . Lucas . Lyon . Madison . Mahaska . Marion . Marshall . Mills . Mitchell . Monona . Monroe . Montgomery . Muscatine . O'Brien . Osceola . Page . Palo Alto . Plymouth . Pocahontas . Polk . Pottawattamie . Poweshiek . Ringgold . Sac . Scott . Shelby . Sioux . Story . Tama . Taylor . Union . Van Buren . Wapello . Warren . Washington . Wayne . Webster . Winnebago . Winneshiek . Woodbury . Worth . Wright . You have made the right decision to record your family history. It is such a noble way to honor your heritage, and this historical document can be a resource for generations to come. 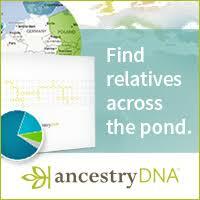 Fortunately, the resources available to you in this day and age can help you trace your ancestry very easily. All you have to do is have patience. Your time and effort in this genealogical project will be well worth it. You may not even know it, but you can get started on your family tree without libraries, computers, or public records departments. Just talking to uncles, sisters, or grandmothers might be the spark you need to sprout the roots to your family tree. Unless you�ve been in the doghouse every year for forgetting a birthday, you know your spouse�s birthday. Also, you probably know the dates of birth for most of your family members. You can fill in the initial blanks on your family tree by writing down the dates of birth and death of the family members you can recall. Perhaps another family member�a great-aunt, a nephew, a sister-in-law�is interested in genealogy. The recording of your family history can also be a family affair. Once you�ve established which branches have correct dates of birth and death, it�s essential to have a game plan. Like any big project that takes lots of time, you may be best to tackle smaller portions of the family tree project. If you feel like you can gather information from your father�s side more quickly, you might first fill in this data. You will feel like you have accomplished quite a bit on your genealogical job when you can see how much you�ve written down. Then, knowing that you can do this ancestry activity, you can start to see how much you know about your mother�s side. By talking to family members and conducting initial research, you may discover that you know more than you thought about this side of the family. The first branches have life, so now it�s time to see your family tree grow larger. Investigating the Iowa vital records will give you the information you need to expand your profile of descendants. The birth certificates and death records are Iowa vital records. This data, if you need to know where to find such important ancestral evidence, is simple to find. The state offers this information to the public in one place: the Iowa vital records location. Savvy searching on the internet can get you to this accessible place. It will behoove you to visit genealogy websites and forums for more advice on how to expand and/or complete your family tree. Genealogy is such a rich and rewarding activity. This hobby has brought many people who share the interest of ancestry and family history together. Researching the history of local families can be enriching to an entire community. Thankfully, the Iowa vital records provides you with accurate information about the state�s citizens, giving you the evidence you need to document generations of loved ones.